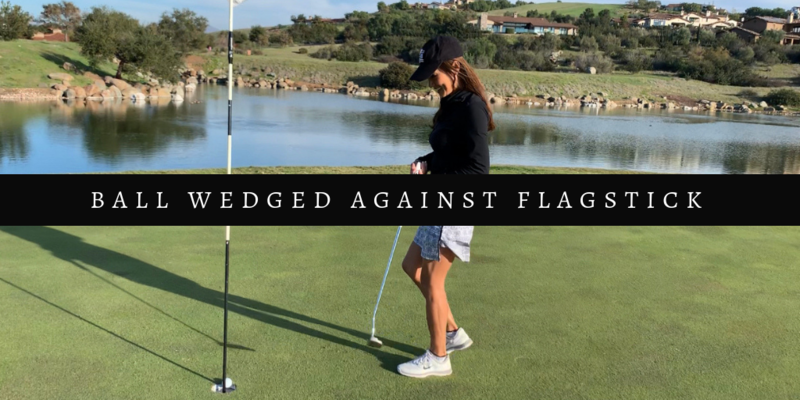 Since we are now able to leave the flagstick in while putting from the putting green, it has brought up a host of other issues that we hadn’t needed to deal with in the past. One of those issues is having your ball become wedged against the flagstick. We demonstrated it on the course because it does happen quite often now. When is your ball considered “holed”? Another good result of the modernization of the rules of golf. Also read: What to do if you accidentally move your ball on the green.